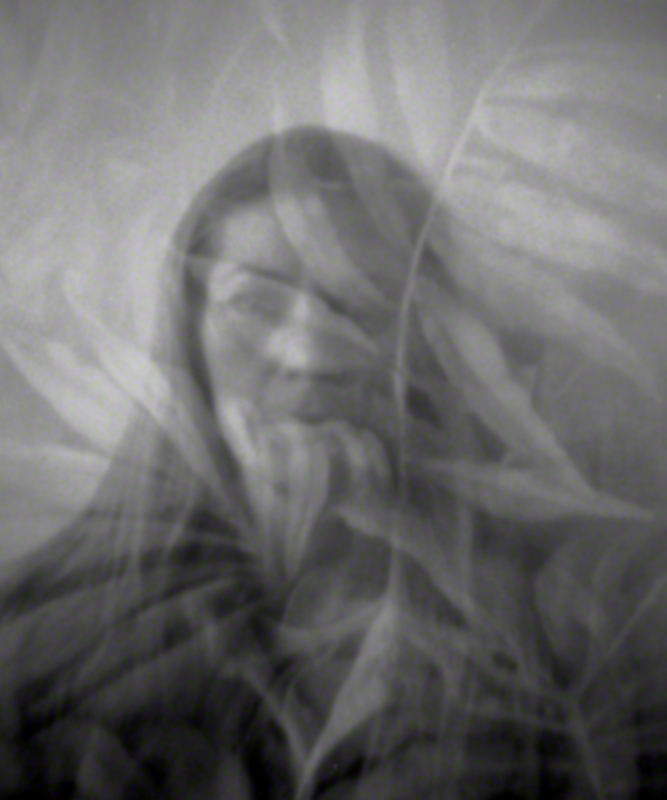 The body of work entitled The Wallflower Project examines the social stigma of being a “wallflower” through the use of portraits created with a cardboard pinhole camera. Although I never thought of myself as a “wallflower,” I started thinking about the social stigma after a conversation with another artist at a party. She spoke of entering parties and everyone would look at her husband—not her. I, too, had experienced this at social events. My husband and I would be talking in a group and all of the attention would be on my husband, who many think is an actor. I happily would observe the exchange allowing myself to fade into the background. The word “wallflower” was first used in the early 1800’s to refer to a woman without a partner at a dance, presumably sitting against the wall. During the same period, paper wall coverings started to grow in popularity due to a repeal of a “Wallpaper Tax” in England and the development of mass-produced wallpapers. 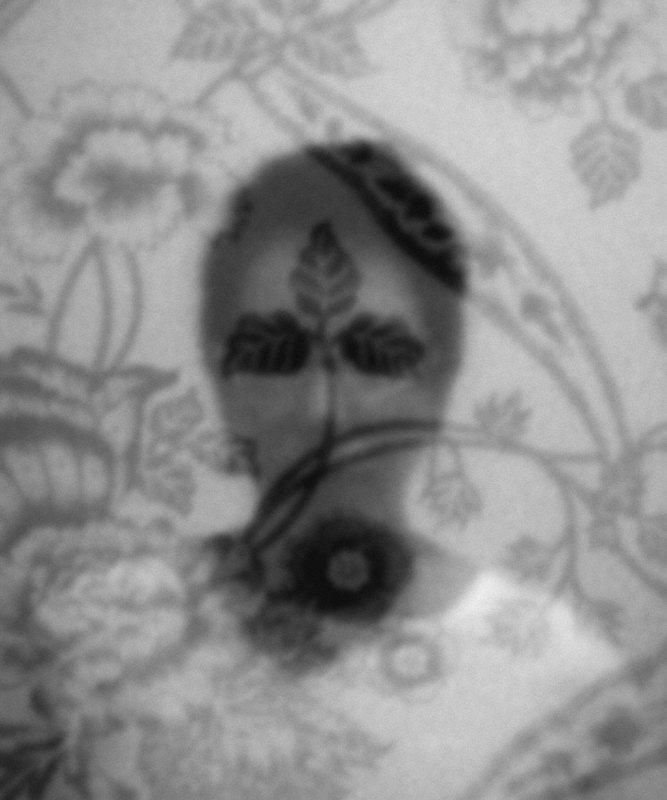 Based on this history, I conceived of The Wallflower Project using double exposures (portrait + wallpaper) with a pinhole camera to create an image whereby the subject literally fades into the background. 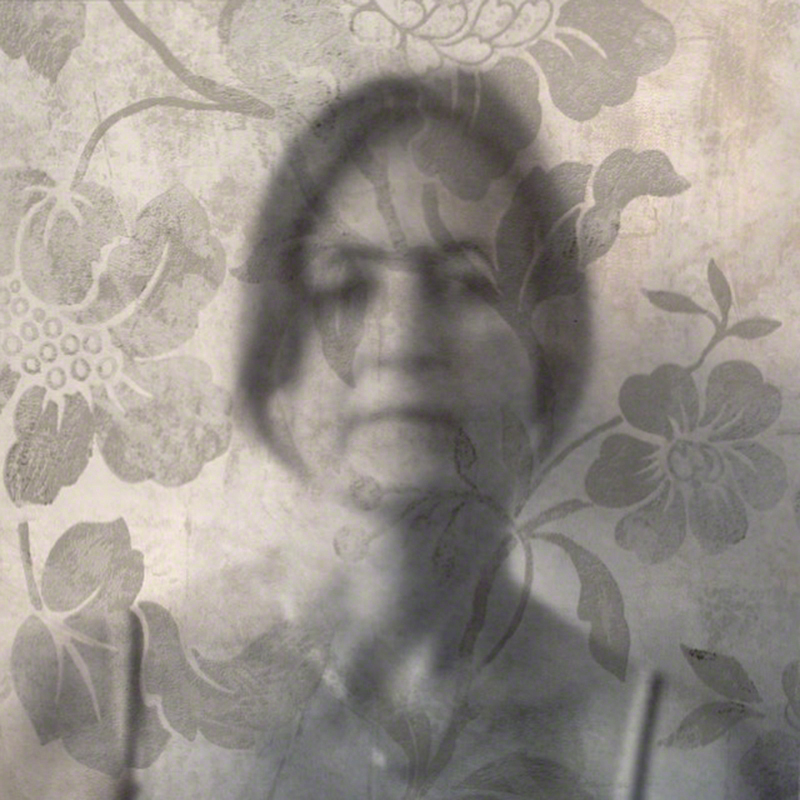 I wanted to bring the “wallflowers” to the forefront—not by taking straight portraits of them but by portraying the fading “wallflower.” The resulting double exposed images create a ghostly portrait that requires the viewer to take notice and spend time to see the person before them. 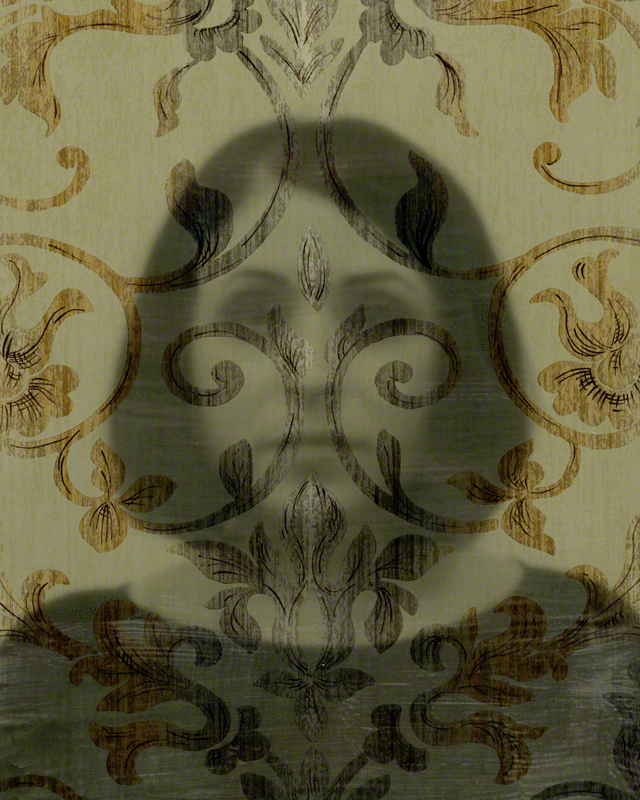 Currently, I am exploring additional ways to use a straight pinhole portrait with the actual wallpaper as well as creating installation projects related to The Wallflower Project. Janine Brown is a multi-disciplinary artist. Her award winning artwork has been featured in solo exhibitions at arts centers and galleries, including the Gallery 825, West Hollywood, CA; Westport Arts Center, Westport, CT; The Laura Barton Gallery, Westport, CT; and the Bridgeport Arts and Cultural Council, Bridgeport, CT. In addition, Brown’s work has been selected for numerous juried exhibitions, including “Adorn” at Gallery 825, West Hollywood, CA; “Flower (re)Power” at the Housatonic Museum of Art, Bridgeport, CT; “Spectrum 2010” at the Carriage Barn Arts Center, New Canaan, CT; and “Abstract and Geometric” at The Woman Made Gallery, Chicago, IL. Her photography was published in two books by the See.Me organization in 2012 and 2014 and her pastel work was published in the Pastel Journal’s Pastel 100 Competition in 2004 and 2006, winning Honorable Mention awards both years. Brown is a member of the Los Angeles Art Association and a former board member of both the Women’s Caucus for Arts (CT) and the Westport Arts Center (CT). She resides in Westlake Village, CA and maintains a studio in Santa Monica, CA.